Now that the chilly winter temperatures are on their way out, the sunshine-filled days of spring and summer are fast approaching, bringing with them all your favorite warm-weather activities: pool parties, backyard BBQs, hiking up north, and more. Just in time for the upcoming season, Estrella Jalisco is debuting a refreshing newcomer to their line of premium brews: Mango Michelada. There’s no shortage of new names breaking into the beer scene, making it far rarer to come across one that’s actually established serious staying power. 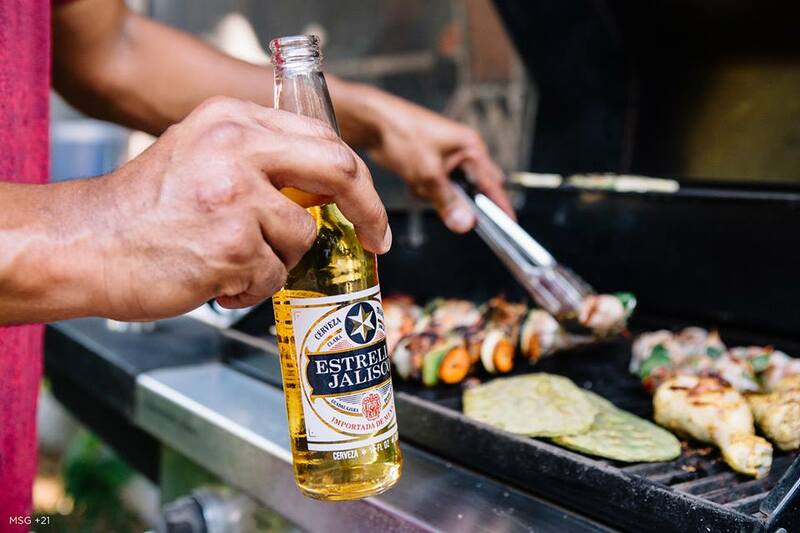 Estrella Jalisco has been crafting premium beer for over a century, brewing beverages inspired by Mexican tradition, authentic flavors, and classic ingredients. Originating from Guadalajara, Mexico in 1910, Estrella Jalisco is one of the country’s longest-running traditions and largest beer brands. The brand’s mission has always been to create a selection of authentic, Mexican-style beers that bring people together, building a fun-loving sense of community and connection in the way only a perfectly crisp, refreshing brew can. 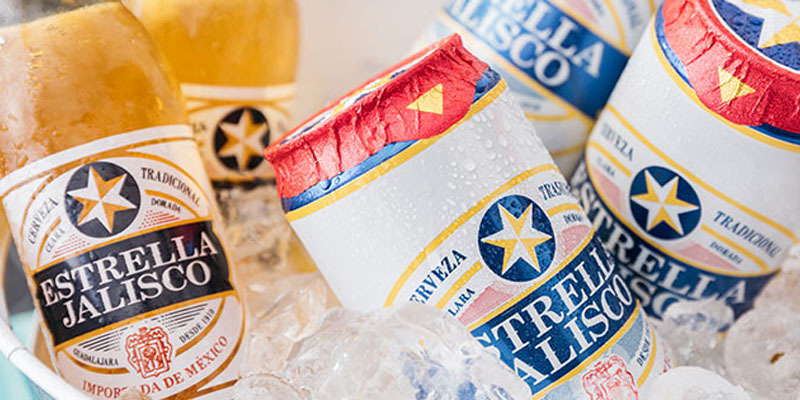 The classic Estrella Jalisco brew is a premium pilsner with a bright gold pour, crisp flavor, and smooth finish, resulting in an incredibly delicious beer that’s built up a loyal fan base across the border, here in the U.S. Now, Estrella Jalisco has beer lovers buzzing with their latest endeavor in the world of premium brews, the Mango Michelada. Estrella Jalisco is a 4.5% abv. premium pilsner that pours with a pale golden color, has a refreshing and crisp flavor, and a pleasantly clean finish with no aftertaste. If you’re a beer enthusiast, odds are that you already know of plenty of michelada options out there. Michelada has become an increasingly popular drink of choice in recent years, spurring spin-off flavors and countless variations. Whether you’re a michelada aficionado or someone who’s sworn off this brew after too many disappointing experiences – or somewhere in between – you’re going to want to add Estrella Jalisco’s Mango Michelada to your list of must-try beers. It’s unlike anything else out there, setting itself apart thanks to the brand’s solid dedication to premium ingredients and time-honored brewing techniques. Mango Michelada started as a glimmer of inspiration fueled by Estrella Jalisco’s rich culture, combined with the iconic image of the Mexican mango cart vendors found around every corner of Los Angeles. Estrella Jalisco collaborated with Golden Road Brewing in L.A. to create a mango-flavored blend that incorporated authentic Clamato Picante, brewed right in the heart of Southern California. The 3.5% ABV beer is a vibrant shade of red, a color that you know comes from the inclusion of real Clamato. Instead of the substitute flavoring used by other red beers, Mango Michelada sets itself apart by being the only one to use authentic Clamato – and you can definitely taste the difference. Switch things up this spring and summer by adding Mango Michelada to your fridge, Igloos, YETIs, Hydro Flasks, you get it. Fruity, slightly sweet, and packed with authentic Clamato Picante taste, this Estrella Jalisco creation is perfect for sipping by the pool, on the beach, in the mountains, or anywhere else under the sun. Image credit by Estrella Jalisco.